This is the known and trusted analog phone system we all grew up with. It operates via your phone company’s copper wiring, but you’ll also need PBX hardware on site. That’s what gives you the additional features most businesses need, like multiple extensions, call transferring, call directories, and voicemail. On one of the primary benefits of a landline system is reliability. You don’t have to worry about losing your phone service if there’s a problem with your internet or cellular service. On the other hand, landline systems can be expensive to install and maintain, and you really need an onsite IT department to manage the PBX component. Who should consider a landline system? Businesses without high-speed internet or reliable mobile phone service, and large companies that can afford the up-front costs and the cost of maintenance. 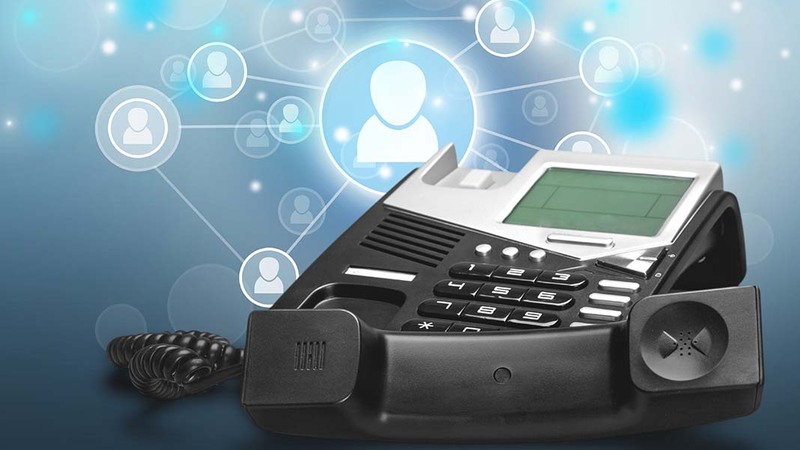 VOIP stands for “voice over internet protocol,” and that’s exactly what it means: Your phones operate over your internet connection. They’re a great way for smaller businesses to afford advanced features like automated attendants, email delivery of voicemails, desktop controls, desktop directories, voicemail transcription, Interactive Voice Response, interoffice instant messaging, ring groups, and mobile phone integration that allows remote and traveling employees to use the business phone system. VOIP systems also allow users to make calls via their computers. The main drawback of VOIP systems is that if your internet connection goes down, so does your phone system. It also requires a high-speed connection, which might not be available in all areas. On the other hand, VOIP systems offer small and medium businesses a wealth of options they might not be able to afford otherwise (VOIP systems are usually less expensive than landlines). They’re also easy to install, configure, and maintain. With a self-hosted system, the business owns the equipment, keeps it onsite, and is responsible for any needed maintenance. That means a steep upfront cost and the need for employees to administer and service the system. On the other hand, the equipment is yours, which gives you a higher degree of control. With a cloud-based service, your service provider – the host – owns and maintains all of the equipment. Rather than having equipment on site, you access it through the cloud and are able to configure and run the system from your computer. Because it’s structured around per-user fees, it’s an affordable way to obtain advanced features and add new lines as your business grows. On the other hand, you have to rely on your service provider when things go wrong, so it’s important to consider the level of customer service the vendor provides. With a virtual phone system, callers who dial the business’s main number are forwarded to the appropriate employee’s phone – wherever that employee might be. Virtual systems typically provide advanced features like an automated receptionist, call forwarding, voicemail, and faxing. They’re ideal for companies whose employees are remote or on the road a lot, because it creates a more professional impression than having customers call employees’ personal phone numbers. The downside is that there is no “real” phone system. All calls are routed through the primary phone number, which could be a landline, mobile, or VOIP system. Depending on the type of service you have on that phone, it could incur high usage costs, because all calls will be billed to that one number. When it comes to choosing a business phone system, the right one for you comes down to features, cost, and ease of use. Regardless of the system you choose, today’s options let even the smallest businesses present a consistent, professional voice to their customers.